Is Your Content Ready for Mobilegeddon? Those clever folks at Google are at it again. In their mission to deliver a better experience for the searching public — a noble goal, make no mistake — they’re releasing another update that is making life … well, challenging for certain website owners. Since 2009, Google has been weighing sites’ mobile-friendliness as a factor in determining search results. The problem is, we’re still not getting it: according to a recent study, 40 percent of the top 25,000 websites are still not mobile friendly. And that’s just in the big boys’ playground. So now Google is dropping the carrot and picking up the stick. In the next update, due on April 21, the Google algorithm will start giving more weight to mobile-friendliness, boosting websites that are mobile friendly … and allowing those that aren’t to slide down the list. 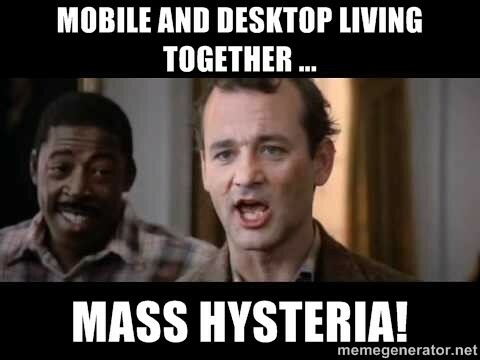 Welcome to Mobilegeddon! And while many of these factors involve things like page load time and menu structure, there are some steps we content marketers can take to ensure that our content offers mobile visitors the best experience possible. Does the content deliver on my expectations when I clicked the link? Does it get straight to the point, or does it take a few paragraphs to get around to the main message? Is the content easily scannable, even on a mobile screen? Addressing these questions will give you valuable insights into how well your site content serves mobile visitors — and what needs fixing. Each touch of the screen is another chance to lose mobile visitors to another site, so we need to make each finger-swipe worth the effort. Make sure your content flows smoothly from one idea to the next. Edit out any unnecessary words or clauses. If your content includes any “detours” that are not essential to your main point, consider repurposing those segments as separate content pieces. Remember that visitors see far fewer lines of text on a mobile device than they do on a monitor, so it can be easy to get lost. Including subheads every few paragraphs helps mobile visitors to keep track of what the current section is about. And if your site includes very long, modular pages — such as a hefty FAQ page — consider adding internal links to allow visitors to “jump” easily between an index at the top of the page and the individual segments. Most of all, don’t panic! Optimizing your site content for mobile will not only appease the Google gods come April 21 — it will also please your visitors and keep them coming back again and again, no matter what device they’re using. So roll up your sleeves and get to it! Want to learn more about using video content to attract and retain business? Join us on April 22 for our next VIP Webinar, Action! 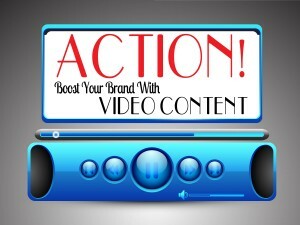 Boost Your Brand with Video Content — grab your spot today! This article was syndicated from Business 2 Community: Is Your Content Ready for Mobilegeddon?